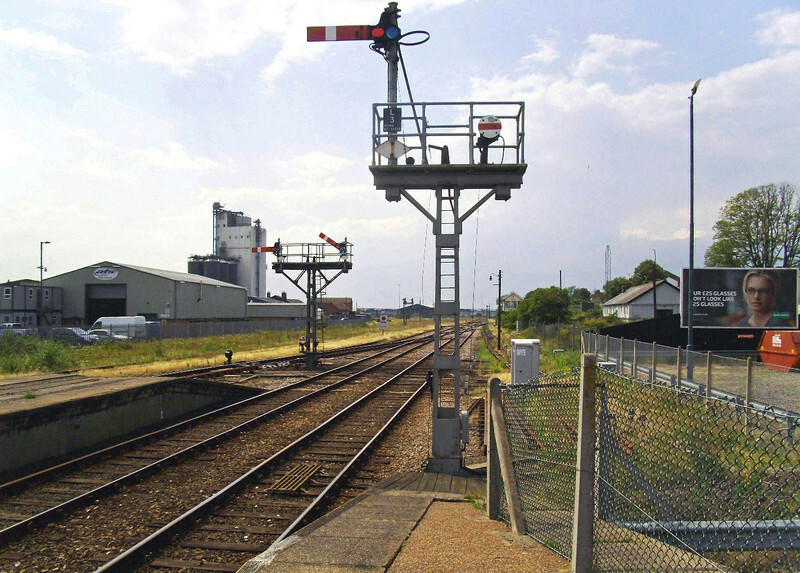 Layout at Lowestoft on 11th July 2011. A Norwich train is signalled out from platform 3 whilst the nearer signal is for Ipswich trains from Platform 2. Trains for Yarmouth South Town used platform 1 which is the trackless platform to the right. Curiously although this service closed over 40 years ago the platforms haven't been renumbered the platform numbers starting at 2.